You will receive a digital print proof ASAP. The delivery dates mentioned are achievable when you approve the print proof before Monday 26 August 08:00h. Remote areas can take longer. Do you need a specific date / sooner – please contact us. 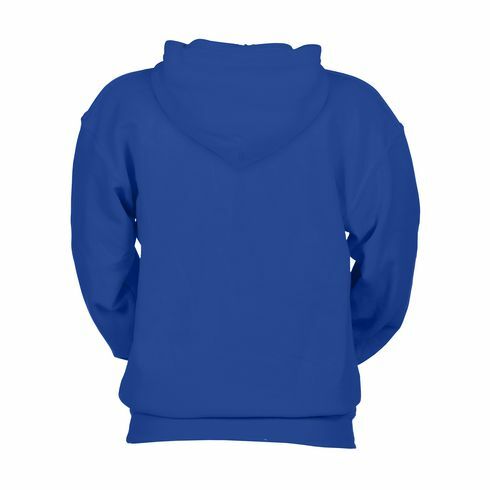 Gildan hooded sweater ~ 50% cotton/50% polyester (270 g/m²) ~ pre-shrunk anti-pilling fleece inside ~ hood with drawsting ~ contrasting colours on the inside ~ stitched pockets ~ double-knitted cuffs. Available sizes: S, M, L, XL and XXL.